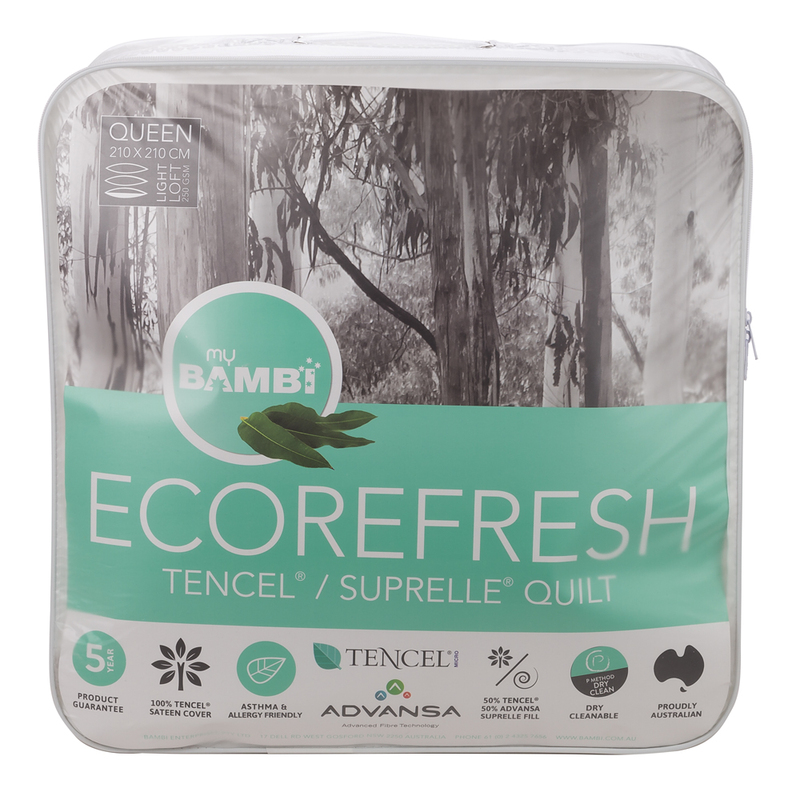 Rest easy all year long with Bambi’s Eco Refresh Tencel/Suprelle Quilt. Crafted with a 100% Tencel sateen cover, this quilt features an incredibly lightweight fill comprised on 50% Tencel and 50% Advansa Suprelle. The Tencel cover features high moisture absorbency and dispersion to help you rest easy, while the durable Suprelle filling gives you added loft and comfort. Perfect for every season, it’s hard not to fall in love with this incredible quilt by Bambi. Features the award-winning new-age fibre Tencel. It's fully biodegradable, silky smooth, anti-bacterial and easy to care. Filled with 50% Tencel and 50% Advansa Suprelle. Cover is crafted from 100% Tencel sateen. Suprelle provides added durability and comfort. Presented in a Bambi PVC zippered storage case.